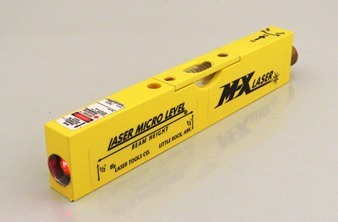 L100M MX Laser Precision Level | Laser Tools Co. Categories: Battery, Construction / Surveying / Layouts, Construction Laser Products, Featured, Function, Mining Laser Products, Mining, Safety, Health Administration (MSHA), Power Source, Tools with Kits / Package Deals. The built-in laser emits a harmless light from the end of the precision level, which yields a laser dot visible on almost any surface. 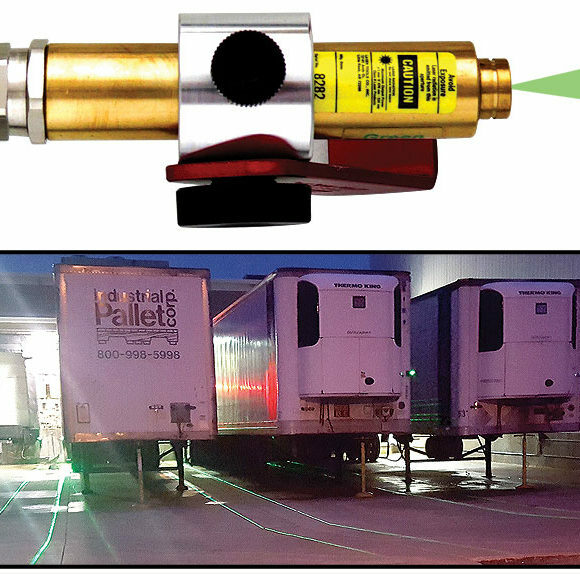 The laser add-on also lengthens the level reference to over 100 feet, a huge advantage when working in a large outdoor site. The Model L100M only needs a single operator to complete any leveling jobs. It’s easy to setup and requires virtually no additional assistance. This is the perfect tool for independent contractors who require working with pinpoint accuracy. Laser levels are also excellent tools for transferring ceiling layouts, lining up electrical outlets, or even building decks. Measure level or plumb using the precision level vial or two plumb vials. They’re built in and factory set. Turn the laser on by turning the battery cap switch. Mark the center of the laser dot and subtract 1/2″ to reference the bottom of the level. Includes: 5 arc minute level vial, 12.5 mm optics for long distance, 635 nm, 5 mw laser system and machined bottom for precise layouts. Includes: 10mw, 635nm laser, (1) 5 arc minute level vial, (2) 30 arc minute plumb vials, machined bottom for precision layouts. Uses all standard L100M style accessories. Includes: L100M laser, AP100A leveling adapter plate, AP90C Beam Bender™, and AP40 hard case. MSHA Certified for use in hazardous environments esp. methane-air mixtures. Includes Level & Plumb vials and machined bottom for precision layouts. Uses all Standard L100 style accessories. Machined bottom for precise layouts. MSHA Certified for use in hazardous environments especially methane-air mixtures.